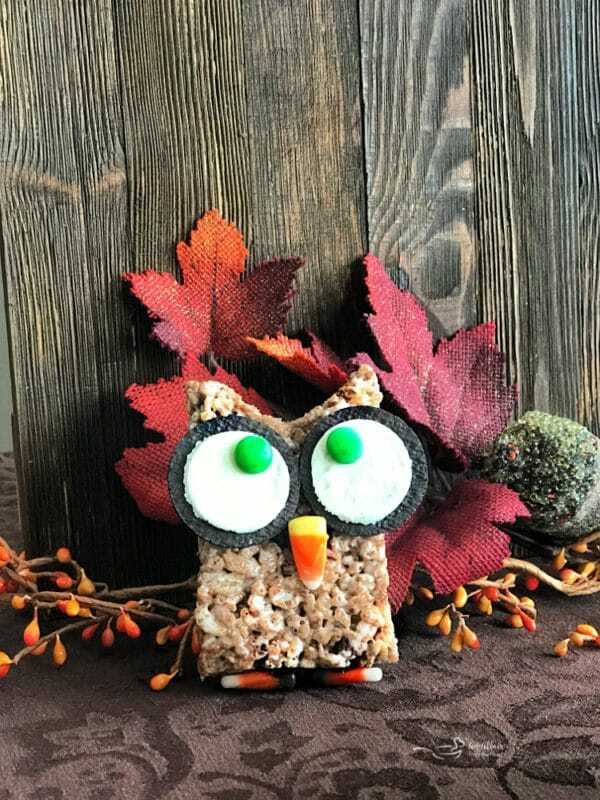 Cocoa Krispy Owls are Marshmallow treats made with Cocoa Krispies Cereal, and made into Halloween owls, using Oreo cookies, M&M’s and Candy corn. Fun to make, fun to eat! 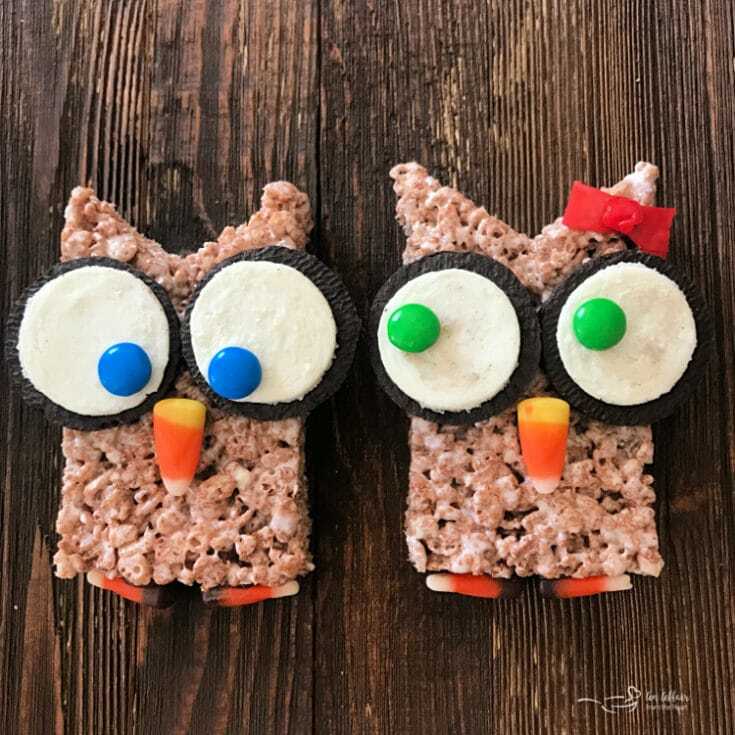 These Cocoa Krispy Owls are not only a fun Halloween craft, they are delicious, too! 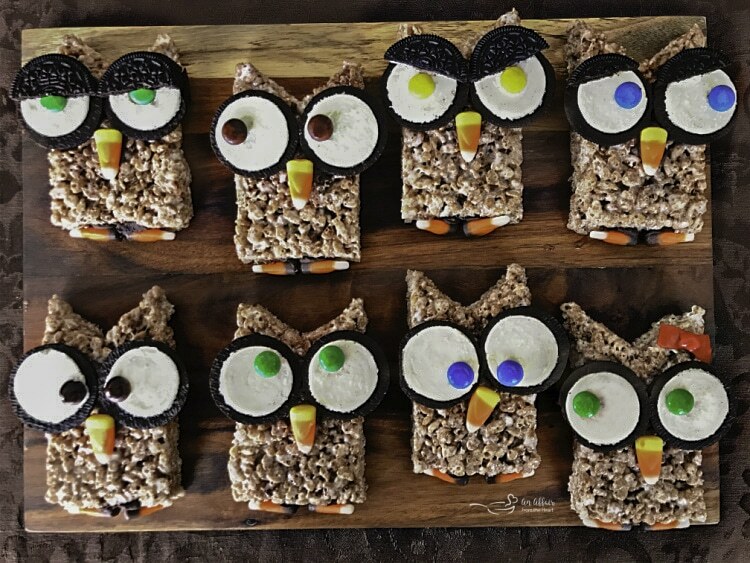 It’s time to get those kids in the kitchen, and make up some clever Halloween treats! Whooo! Whooooooo! Wouldn’t love to make these cute owls?? This recipe is sponsored by Family Fare Supermarkets, but the thoughts and opinions of their store and products are my very own. Can you believe it’s already October 1st? It really does seem like we were just complaining about Spring taking it’s sweet time, and now summer is past and everything is pumpkins, goblins and Halloween. 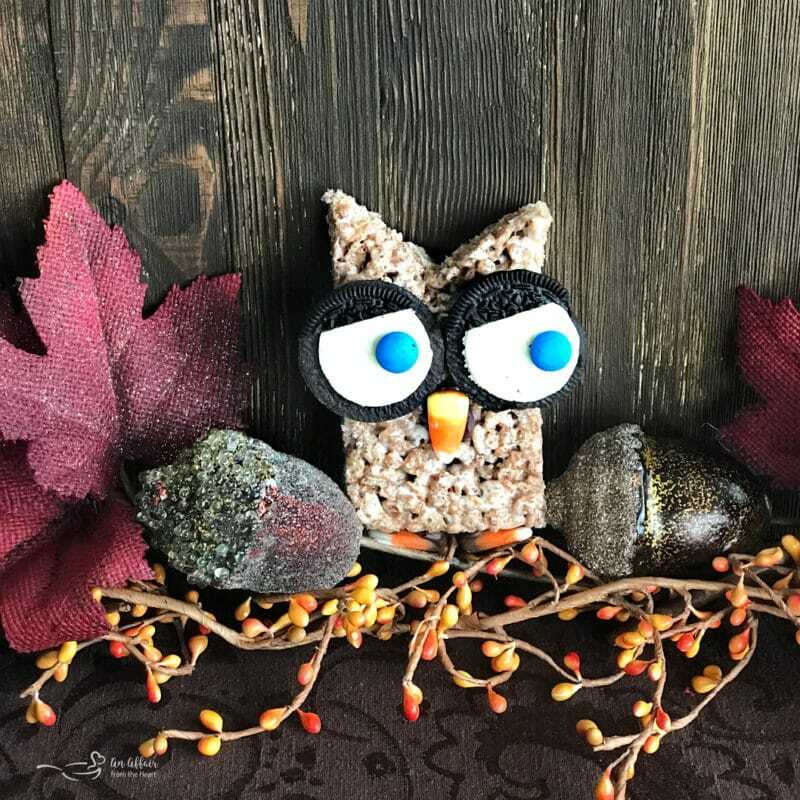 I wanted to come up with something fun for my readers that doubled as a craft and a treat. 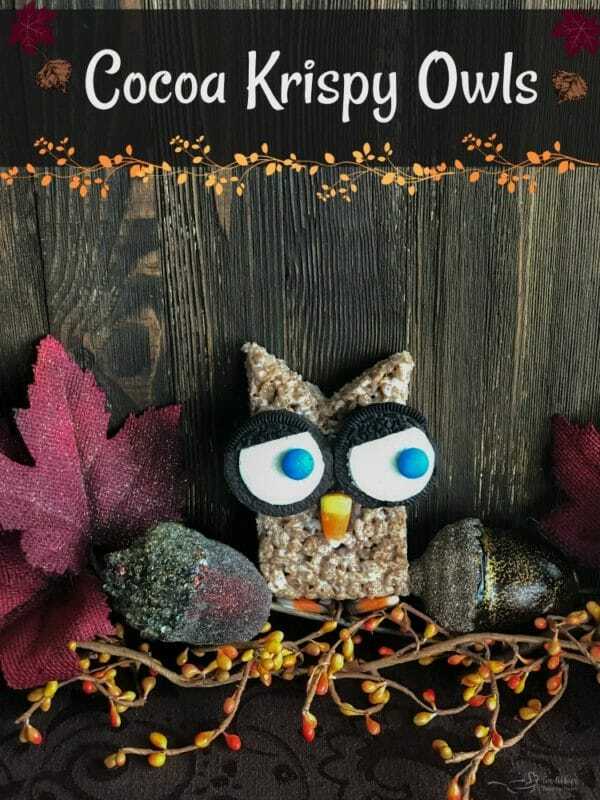 I think these Cocoa Krispy Owls will do nicely. They were so fun to make! I loved switching up their eyes and eyelids to give them different personalities and expressions. My son took a bite out of this little guy before I had even gotten a chance to take pictures!! His expression says it all, don’t you think?? HA! 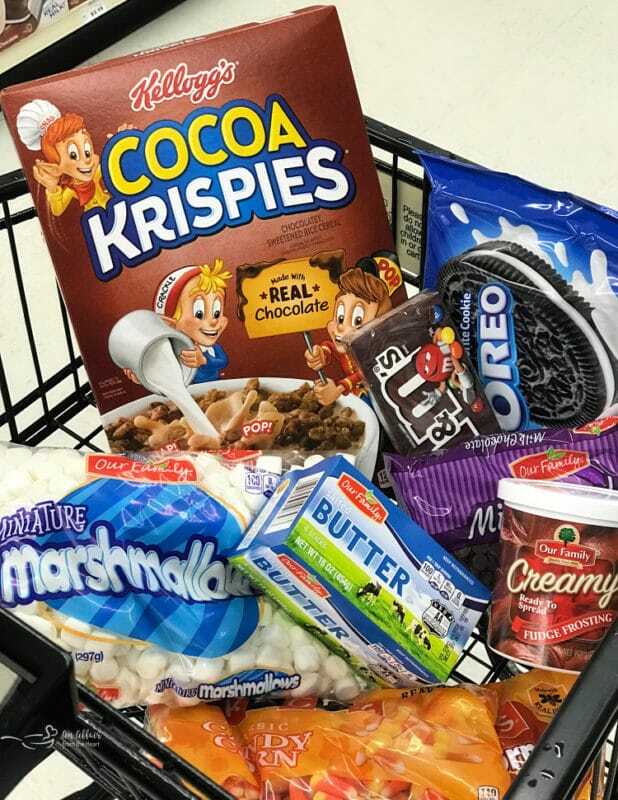 I made a quick stop in my local Family Fare Supermarket to pick up what I needed for my Cocoa Krispie Marshmallow Owls. 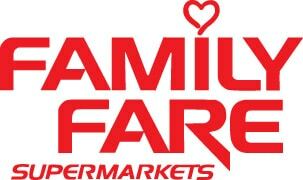 I was able to get quite a bit of what I needed from Family Fare’s Our Family Brand products, which makes me happy, because I like saving money. Don’t you? Between saving with their private label, and using my Yes Rewards card, these were economical AND fun to make! 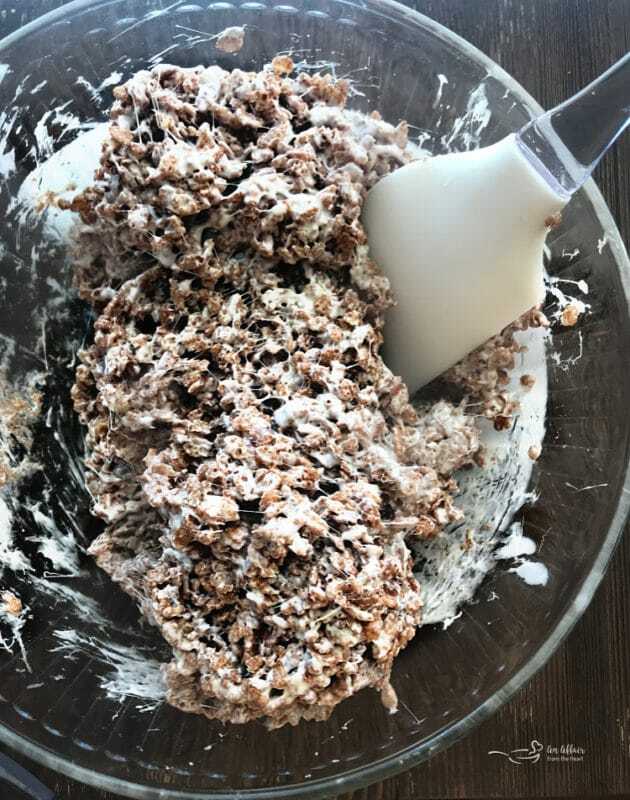 What do I need to make these Cocoa Krispy Owls? Melt the butter with the marshmallows over low heat. 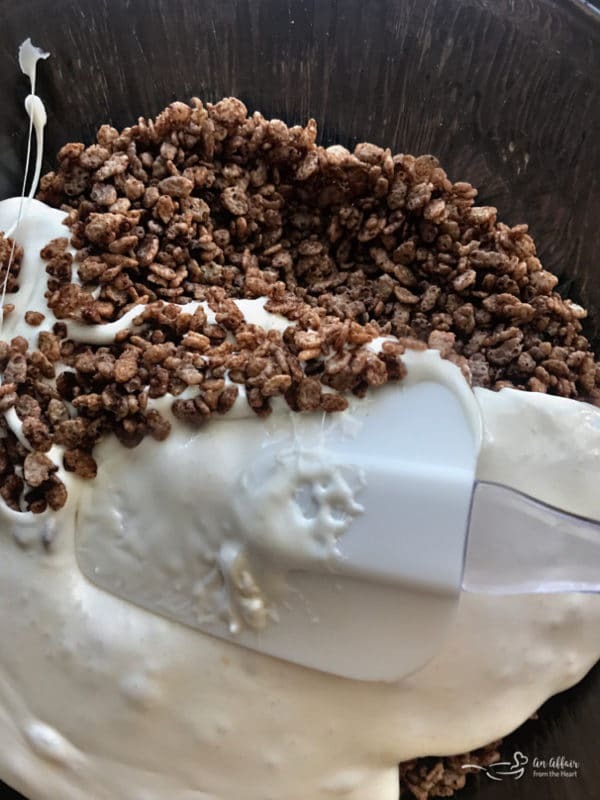 Stir into Cocoa Krispies cereal. Resist the urge to eat them straight out of the bowl. Press them into a 10.25 x 15.25 cookie sheet lined with foil and sprayed with non-stick spray. Chill. Cut them into 3×5 sizes rectangles, and then cut that notch out for their ears. Get your decorating items together. Separate your Oreo cookies, and keep both sides. You may want to make eye lids! Press the M&M’s into the cookie frosting for the eyes. Use the frosting as the “glue” to adhere the eyes and the candy corn beaks and feet. Start giving them that personality! Get creative! Have your kids or grandkids get involved and see what they come up with! I think she has a crush on that blue eyed boy owl, what do you think?? I made her little bow out of a fruit roll-up. If you make them, I hope you pop over and share them with me on facebook or instagram! Throughout 2018 I have shared recipes with you made with items I have purchased at my local Family Fare Supermarket. I have loved coming up with recipes for them and for you. I thought with this being my last one of 2018, I would share with you what I have made for them this year. In January, I shared this BUFFALO CAULIFLOWER DIP for a healthier Super Bowl option. Because everyone loves that buffalo chicken dip at parties, but not everyone wants the calories, or sometimes even the meat. 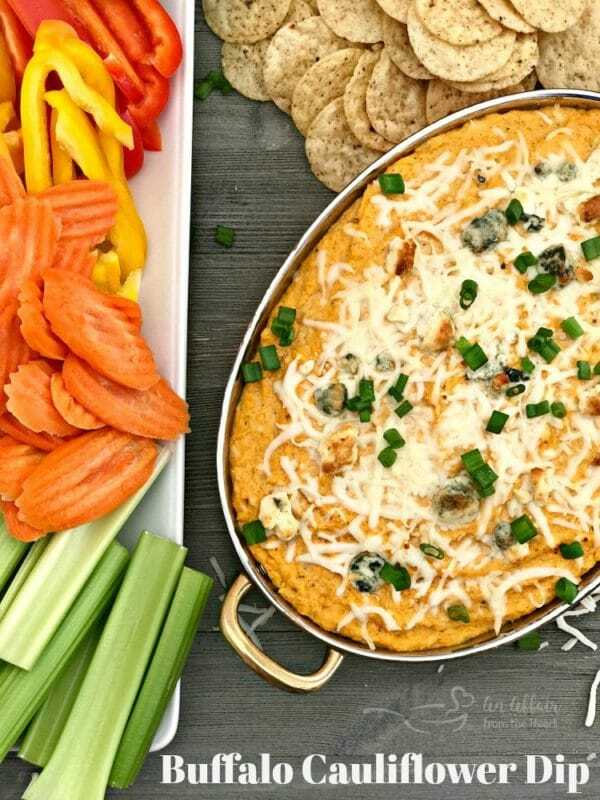 This Buffalo Cauliflower Dip will give you the satisfaction of that famous dip with less calories and all of the taste. 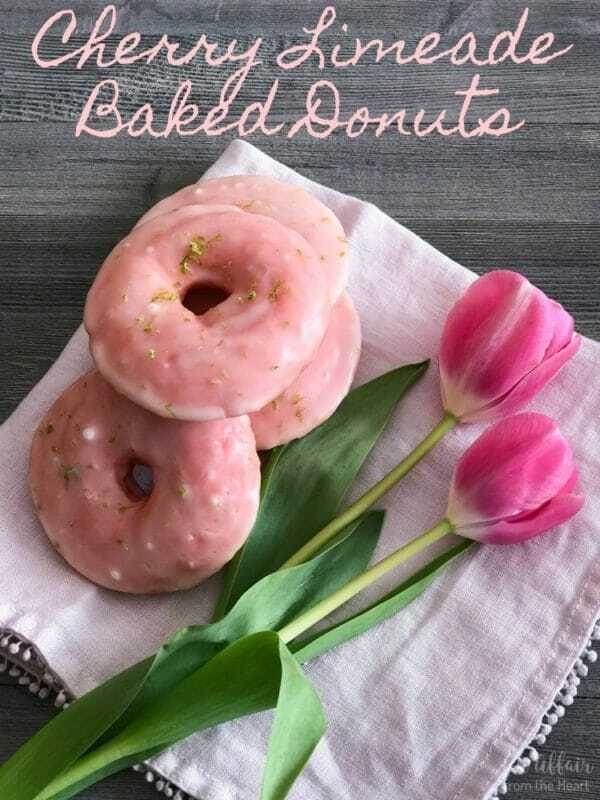 In May, I made these CHERRY LIMEADE BAKED DONUTS for Mother’s Day. They are baked, then glazed, cherry limeade donuts reminiscent of that age old drink, the Cherry Limeade! In August, it was time to go back to school. We needed a great lunch box treat, or after school snack. 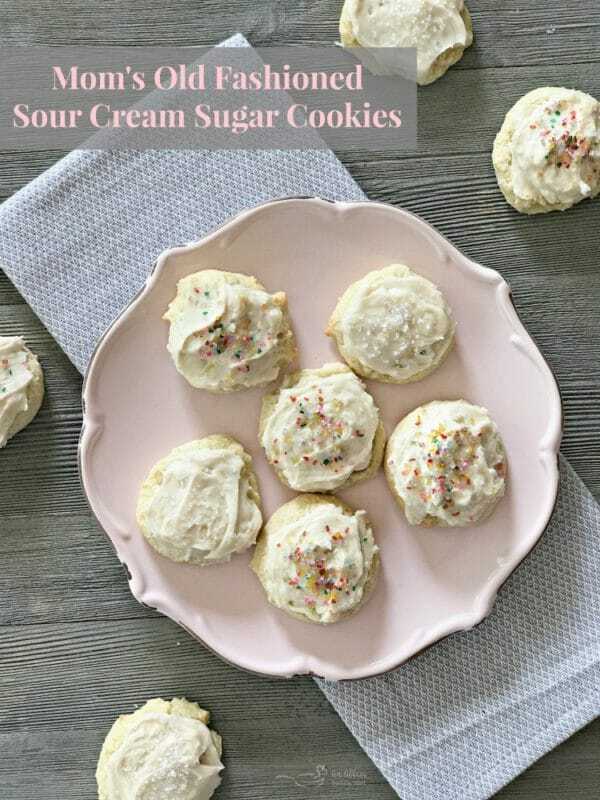 These OLD FASHIONED FROSTED SOUR CREAM SUGAR COOKIES were perfect for both. They are so soft and have the perfect amount of sweetness. They are made with sour cream, both in the cookie and in the frosting. I have really enjoyed coming up with recipes that both my readers, and Family Fare’s readers can enjoy! I hope to be able to make more tasty recipes using their products! 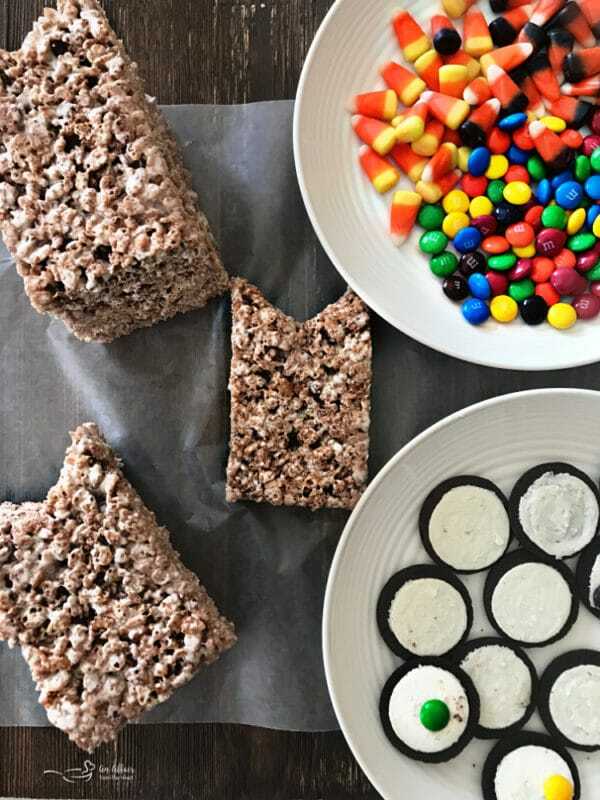 Layered Cereal Treat Bars – Three Kinds! For another fun Halloween treat, check out these Cheesecake Mummy Cookies! WHOoo Doesn’t love a tasty recipe?? 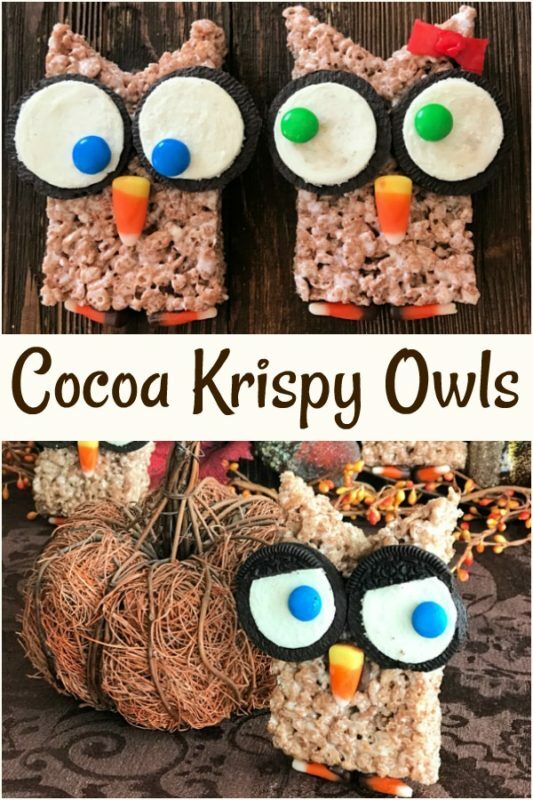 Let’s make some Cocoa Krispie Marshmallow Treat Owls, shall we?? 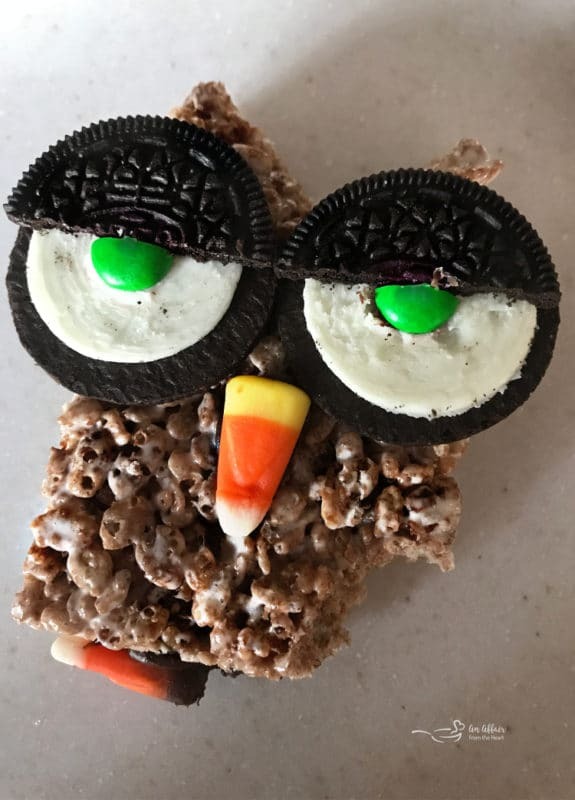 Cocoa Krispy Owls are Marshmallow treats made with Cocoa Krispies Cereal, and made into Halloween owls, using Oreo cookies, M&M's and Candy corn. Fun to make, fun to eat! completely melted. Remove from heat. 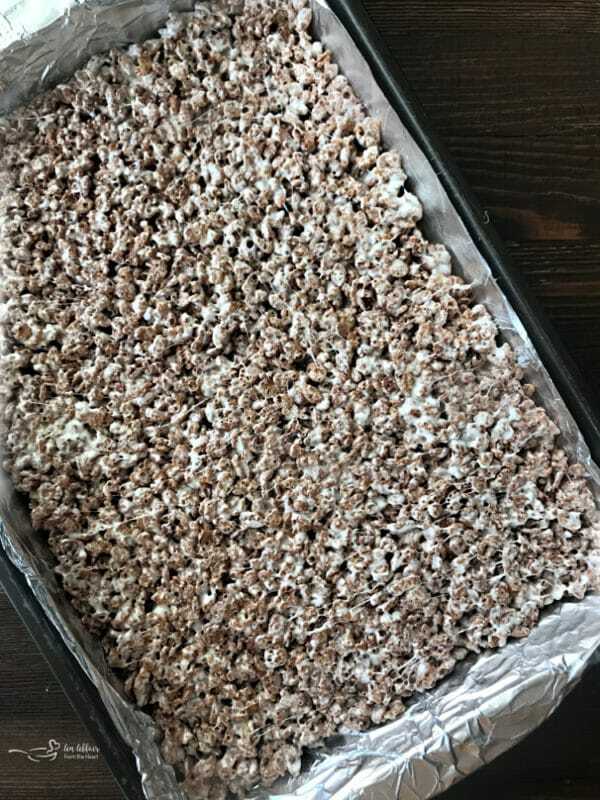 Add Cocoa Krispie’s cereal. Stir until well coated. Using buttered spatula or wax paper evenly press mixture into 15.25x10.25 inch pan covered with foil and sprayed with non-stick cooking spray. Chill. Cut them in half the longways, then into 3 inch sections, They will measure approximately 3x5. You will have some access. Cut a notch out on one of the short ends to make their ears. Chill them an hour or so in the fridge before you decorate. lids you will need the unfrosted side. Miscellaneous M&M’s for eyeballs, Candy Corn, I used the traditional and the brown, traditional for the beaks and brown for the feet. Use chocolate frosting as the "glue" to adhere the eyes, beaks and feet. The eyeballs will stick right into the frosting. Make eye lids out of the extra cookies. Have fun! Super cute idea for Halloween, and yummy looking too! Our kids would love these. There are so many wonderful ingredients in this recipe. My favorite are the oreo eyes! So very creative and I would never have thought of that. Looks so delicious. These are so stinkin’ cute! I love them, and even I could make them! Thanks for the great idea! My son watched this recipe video and immediately asked that we make these. They are so easy to make and so incredibly cute and fun! We had a blast decorating them and eating them!!! These are the cutest owls ever, Michaela! 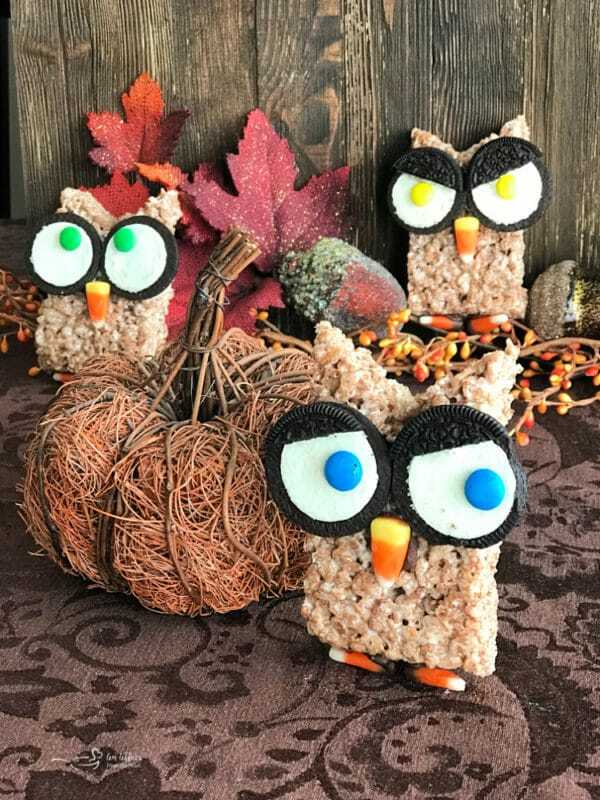 You really got creative with these krispie treats. My nephews would love making and EATING these! 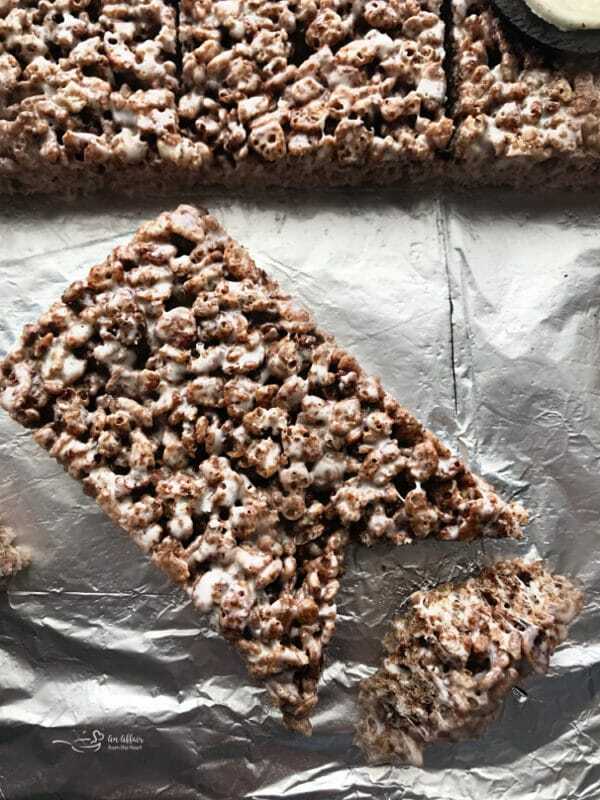 I love that you use the cocoa Krispies in these… they look like the perfect treat! 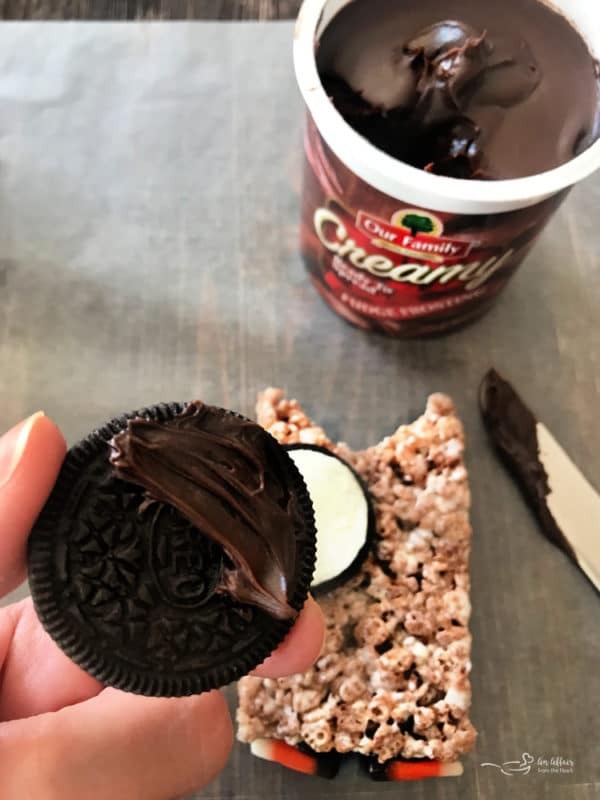 This is such a cute snack idea! My sisters would love these!